One of my favorite things is to have reoccurring guests on the show. I love inviting people back to the table who I just really enjoy and today’s guest is one of those people. KariAnne Wood, whom you may know as Thistle Wood Farms, joins me again. She is a home blogger, influencer and author who has written a new book called The DIY Style Finder. 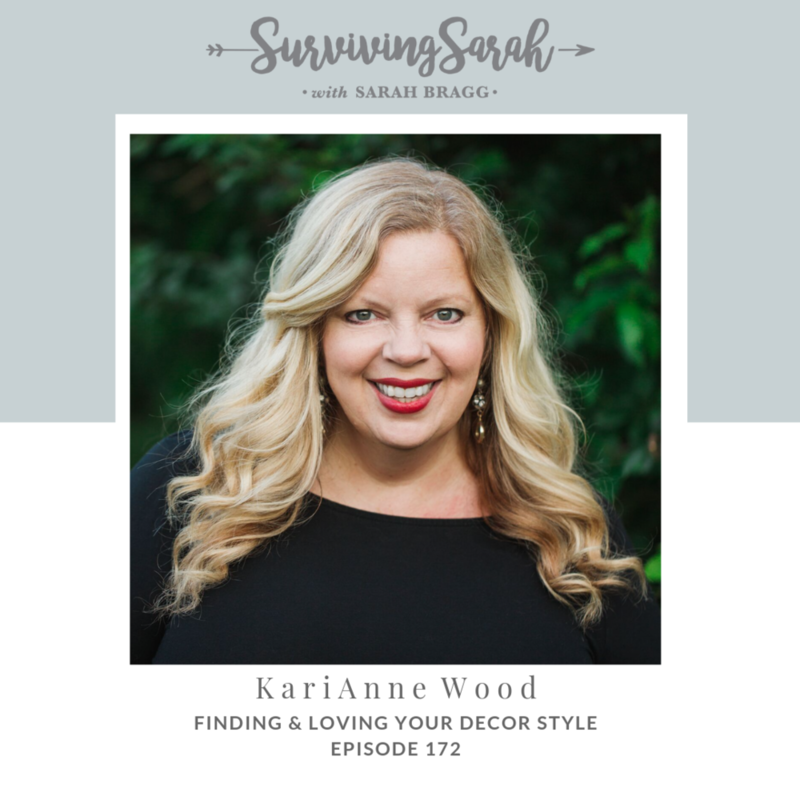 If you have ever asked the question, “How do I figure out my decorating style?” then this episode is for you! We talk about why its so hard to find our style, our biggest design regrets, how to push past the fear of decorating, our favorite rooms to decorate, advice on how to decorate on a limited budget and what to do when your home is temporary. NEW!!!! Surviving Sarah Book Club - let’s learn together! In April, we will read The Gifts of Imperfection by Brené Brown. Sign up today! What do you feel like you are surviving right now? What is your biggest decor mistake/regret? What do you think your decor style is? What tensions do you feel in decorating? What is the underlying fear you feel when it comes to decorating? What is your favorite room to decorate in your room? What is one thing you can do this week to love where you are?